Located in Vermont’s legendary Green Mountains, the Award Winning Fairfield Inn and Suites in Waterbury Stowe is the ideal destination for your tour groups. 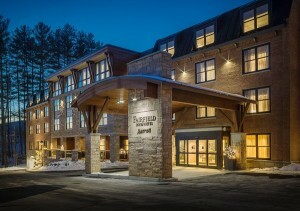 The Fairfield is ideally positioned to help our guests take advantage of all Vermont has to offer. Conveniently located just off I-89, our 84 room hotel offers complimentary wifi, Keurig coffee makers and refrigerators in every room, secure parking, indoor pool and whirlpool, state of the art fitness center, and a complimentary hot breakfast to start the day out right. Beyond our doors, we are within 30 minutes of four incredible ski resorts, two cross country ski centers, epic hiking and mountain biking trails, the Waterbury Reservoir and the Winooski and Mad Rivers for kayaking, fishing and swimming, not to mention world class farm to table cuisine and craft breweries! All this, and Ben and Jerry’s, Cold Hollow Cider Mill and Cabot Cheese is steps away. 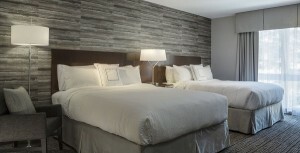 Fairfield Inn and Suites is the best choice for your stay in Northern Vermont.